Jobs and Apple are consistently denying that this problem is the result of a design flaw in the iPhone 4, even though it directly contradicts statements Jobs made at WWDC earlier this month about the vastly improved iPhone 4 antenna design. This “brilliant” design entailed basically making the steel band that rings the iPhone 4 into a big antenna, and, as many astute readers may be able to infer, antennas don’t usually do all that well when they’re being covered. It’s a little funny that Jobs is telling us to hold it in another way, since there are countless iPhone 4 promotional photos and snapshots of Jobs himself holding the phone in this “wrong” way circling the net. There is an unofficial report now that a Macintouch reader was told by Apple Support that a “missing protective coat on some of the parts” is the cause for the problem, which would explain why Jobs was able to hold the iPhone in this problematic way during WWDC demos. And isn’t it convenient that one of Apple’s $30 Bumper iPhone cases will alleviate this problem? As if consumers weren’t paying enough for the iPhone 4 already, now they have to buy a case to guarantee that they’ll get signal any way they hold it? Really? In my opinion, it is downright disrespectful for Jobs to come out and blame iPhone users for being the cause of this signal problem. For $199 for the 16 GB model and $299 for the 32GB one, not to mention the costs of the data and voice plans, users deserve to get reception no matter how they hold their phones. Yes, other phones do have reception problems too, and that’s one of the reasons why consumers look to new smart phones like the iPhone 4, which is advertised as getting better reception, to alleviate this problem. 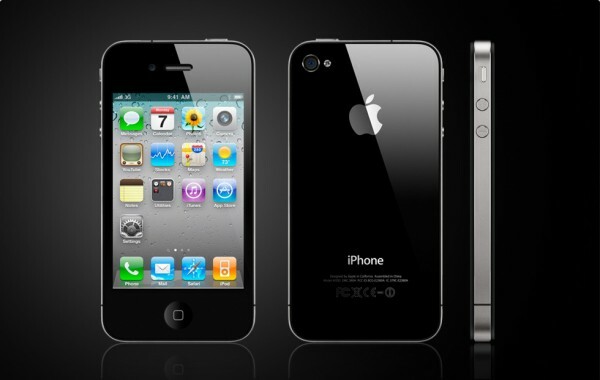 The competition in the smart phone market is heating up; Sprint’s incredibly popular and critically acclaimed HTC EVO 4G was released a few weeks ago, and Verizon Wireless announced their new Droid X only a day before the iPhone 4’s launch. Right now, Apple really can’t afford to alienate its customers by releasing an iPhone with an obvious glitch and then blaming the users for “holding it the wrong way” instead of acknowledging that there is a problem and finding a way to fix it at Apple’s expense instead of the consumers’. The sad part about this is that Apple actually can’t place the antenna at the top of the phone due to FCC restrictions on radiation emission and leaving the antenna anywhere on the bottom would lead to the same problem. As far as design, I’m sure that it was a much more efficient design and preformed exceedingly well on all the tests FCC and AT&T required for it, sadly none of which require a hand to be on the device. It is indeed a bit lame that they just tell customers to get a cover or hold it a different way, but if it really is fixed by that then i guess it’s a good suggestion, bad business, but a good suggestion none the less. The iPhone had the worse when compared to the Verizon Droid and Sprint Palm Pre. And paired with AT&T’s choppy network, it’s an issue. It’s not sad, it’s depressing that the iPhone 4 has the same issue. Imagine if they were to enable Video Calling over 3G. How exactly would you even hold the phone? With lower signal, video would look horrendous. But in regards to you FCC comment, that’s to regulate safety. Not to impair a worthy Apple design. If every Smartphone out there can make calls just fine, how come the iPhone 4 has been such a problem. P.S. I haven’t spent much time with the iPhone 4, but I did own the iPhone 3GS for an year. After testing that across the country, dropped calls was a major issue. With the Sprint EVO or Verizon Droids, it’s rarely a problem. I’d like to clarify one thing about this issue from personal experience. The issue certainly does exist for some, and Steve Jobs’ hold differently comment was pretty dang stupid in my opinion. That said, this isn’t a consistent problem. I’ve tried to recreate this issue maybe a dozen times, and have noticed a change in signal strength once. Many others can’t recreate it. The iPhone hardware is definitely causing at least part of the issue, but there is probably more to this story than what we know so far.